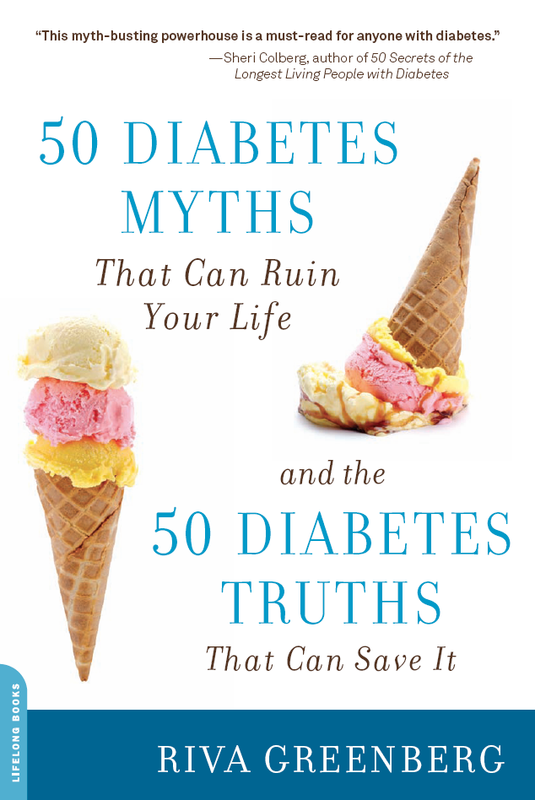 Hmmm…let me see, it must be at least a few posts since I last reminded you about this fantastic book I wrote that was released this summer, “50 Diabetes Myths That Can Ruin Your Life and The 50 Diabetes Truths That Can Save It.” Nice thing is people keep discovering it. I wouldn’t bring it up again (well, maybe) except this morning Catherine Price not only reviews the book but also includes in her review my answers to some really great questions she asked me like: “What 3 things would you tell people about diabetes?” “What kind of policy changes do we have to make to help stop the spread of diabetes?” and “How do I personally stay positive managing my diabetes?” among other questions. You may remember Catherine – who among her many writer hats blogs on A Sweet Life, a great savvy and diverse site that brings you news, expert advice, tips, recipes and blogs – wrote a great piece in the NY Times recently. If you don’t know “50 Diabetes Myths That Can Ruin Your Life” also has its very own web site. Now there’s just no reason to let myths ruin your life.